Tucked in the Tree's on 2.5+ acres with 4 Bedrooms and 3 Bath! 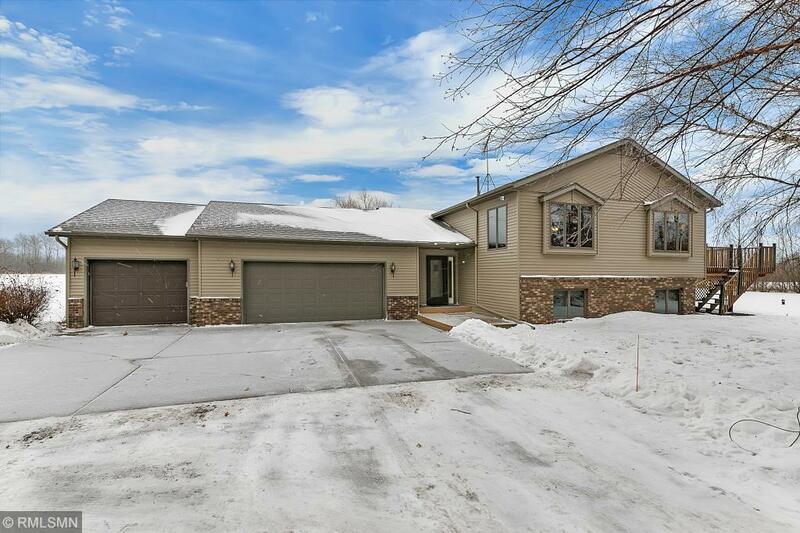 Generous Foyer leads you to the Laundry Room and 3/4 Bath, Upper level features 2 Bedrooms with walk Through Master Bath & Jacuzzi Tub, Large Kitchen and Dining with sliding Glass Door to the west facing 14x20 Deck. Lower level offers Large Family Room with Gas Fire Place, 2 Bedrooms and full Bath! Heated 3 stall Garage, circle Driveway !